You can almost hear your feet saying thank you! 1. These glitter bomb sneakers that will make you feel like a *sparkle boss* whenever you wear them. Get them from Asos for $38.00. 2. These geometric sneakers that add a funky accent to any basic outfit. Get them from Target for $22.99. 3. These indigo Sk8-Hi Vans that look amazing with cropped denim. Get them from Free People for $70. 4. 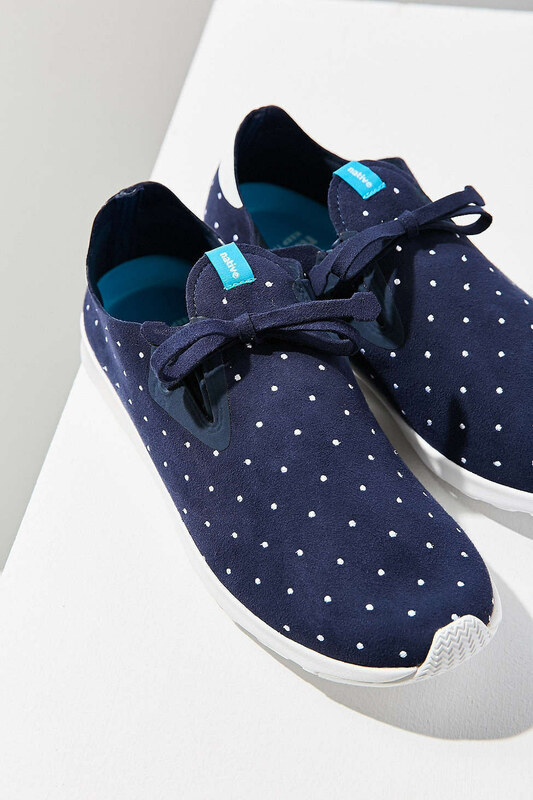 These seriously adorable polkadot Adidas shoes that add bold detail to any outfit. They're actually navy, despite how black they look in the picture. Get them from Barney's Warehouse for $59. 5. These casual espadrille sneakers that are perfect for exploring on warmer days. Get them from J. Crew Factory for $19.50. 6. These unicorn high-tops that are a non-negotiable addition to your wardrobe. Get them from ModCloth for $79.99. 7. These gorgeous metallic sneakers that look like a more casual version of flats. Get them from Nine West for $69. 8. These relaxed tan colored lace-ups that are sophisticated but easy. Get them from H&M for $59.99 in this color and a greyish taupe. 9. These wanderlust-inspiring slip-ons that are perfect for wearing on your next big trip... or any time you're missing the thrill of travel. Get them from Bucketfeet for $74. 10. These sick holographic slip-ons that will definitely turn heads. Get them from Mango for $59.99. 11. 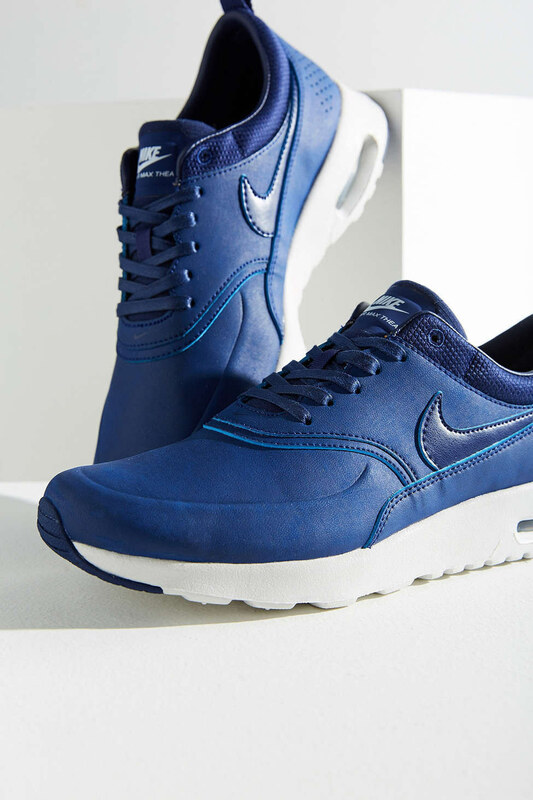 These Nike Air Max sneakers that are lightweight and very comfortable for walking. They also come in red and black. Get them from Urban Outfitters for $115. 12. These pastel New Balance trainers that are begging to be worn with white jeans. Get them from Anthropologie for $79.99. 13. These edgy studded white Converse high tops that'll look badass with a leather jacket. Get them from Nasty Gal for $125. 14. These all white Adidas that add a fresh, casual look to dressier clothes. Get them from Urban Outfitters for $90. 15. This playful pair of leopard print slip-ons that look excellent with black jeans and, well, pretty much anything else. Leopard print shoes are surprisingly versatile. Get them from American Eagle for $29.95. 16. These unbelievably cool light up sneakers that you charge by USB. You can even program the lights to rotate colors! Get them here in black, red, grey, or green for $30.99 to $49.99. 17. These backless Vans slip-ons that are a great go-to shoe for literally any outfit. Seriously, having backless slip on shoes is a game changer. Get them from Nordstrom for $59.95. 18. These crazy colored shoes that add a fun pop of color next to jeans or leggings. Get them from Zappos for $99. 19. These muted floral lace-ups that will add a dainty touch to your ensemble. Get them from Asos for $105. 20. These sassy daisy sneakers that will look great with anything from athletic wear to your go-to jeans and a tee look. Get them from ModCloth for $31.99. 21. These chukka-style sneakers that come in a ton of colors to suit any style. Get them from Zappos for $85. 22. These croc-embossed black or white slip-ons that have a relaxed but still chic feel to them. Get them from H&M for $24.99 each. 23. These insanely sweet holographic trainers that will make you feel like a ~space queen~. Wear 'em to the gym or just IRL! Get them from Misguided for $42.50 (if you're a student you'll get a discount of 15%!). 24. These versatile and lovely blush pink quilted slip-ons that also come in metallics and other neutral colors. 25. These Stan Smith Adidas by Rita Ora that pop against anything. Get them from Asos for $98. 26. These precious polka dot suede sneakers that would work perfectly with dresses. 27. These bright and cheerful slip-ons that will be sure to liven up your outfit. 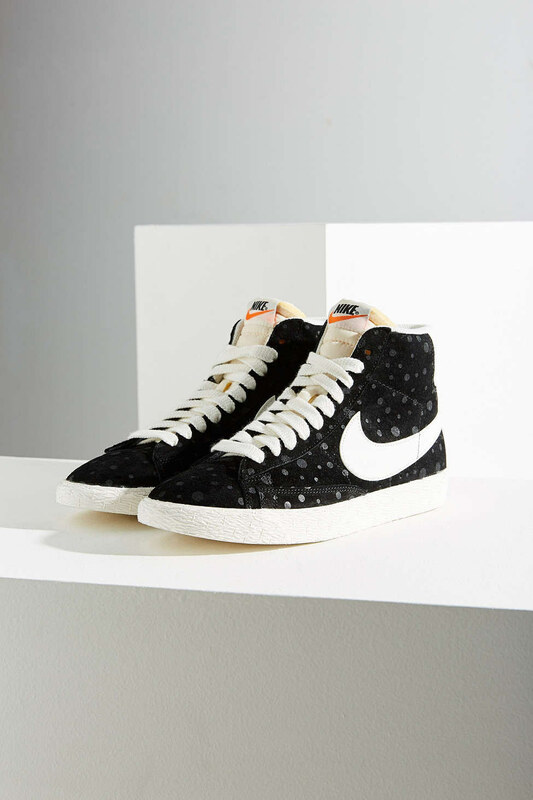 They are designed by an artist from NY and produced by Bucketfeet, where you can get them for $94. 28. These Allbirds sneakers that are made with super soft, sustainable wool and can be worn sock-free! Wool is actually a super breathable material- even more than cotton! These shoes can be worn casually with jeans or during intense exercise. They also come in a gorgeous bright blue and a dark green and black combo. Get them for $95 each. 29. These vintage-inspired Nike high top sneakers that capture that old-school vibe. These would be super cool paired with a short skater dress. Get them from Urban Outfitters for $100. 30. These crazy colorful Adidas designed by Jeremy Scott that are sure to make a statement with any outfit. Get them from Asos for $203. 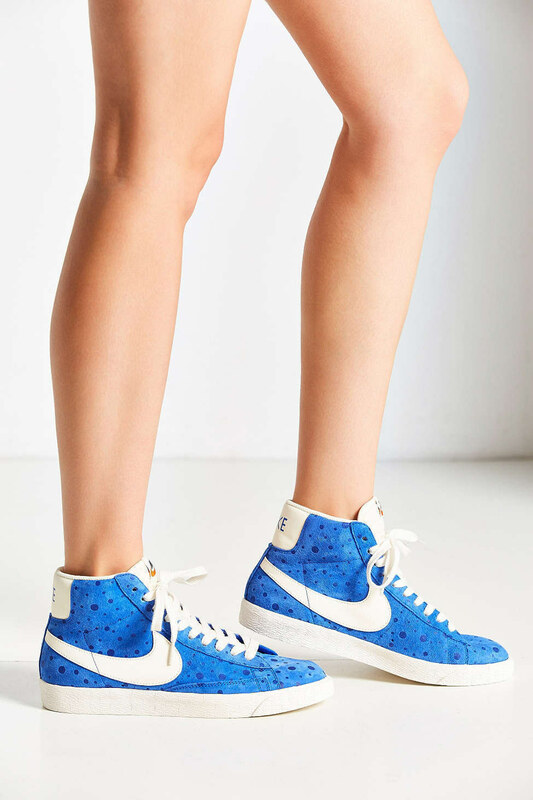 Find even more stylish sneakers here!